Longview Farm was simply amazing in both its scope and design. It was picturesque in its winding scenic country lanes - twenty five miles of glistening white rail fencing set against lush green pastures - leading to a multitude of strikingly grand red-tiled roofs and white stucco buildings. The barns, as well as the residences, were likewise magnificent in their exterior construction and in their landscaping of vines, flowers, shrubs, and trees. It was a symbol of security and serenity, and by every account, the epitome of splendor. Longview Farm was the realization of the childhood dream of lumber baron, Robert A Long. Since his childhood days on his family's Kentucky farm, R. A. Long had dreamed of a comprehensive, self-sustaining farm. In 1914, at the age of 63, in the small community of Lee's Summit, Missouri, Mr. Long's dream came true. Longview Farm was every bit a small community. At its peak, more than 350 people and their families lived, worked, and played at Longview Farm. In addition to the large horse, hog, dairy, and greenhouse operations - that provided a multitude of well-paying, skilled jobs - Longview provided housing, worship services, a school, and social facilities for all who were fortunate enough to live on the farm. It had its own water distribution system, telephone service, and heating system, and its own police and fire departments and even tour guides for visitors. Residents routinely gathered for plays, puppet shows, movies, and pot-luck dinners. The workers' organized tennis and softball teams and competed against each other and surrounding community teams. Sadly, after little more than 50 years, the glory days of Longview Farm had passed. The decline of the farm began in the early 1930's. The Depression, Mr. Long's death in 1934, and World War II all took their toll on the lavish farm. By the mid-1970's the last of the farms operations had ceased. By 1980 much of the farm's operations had ceased. By 1980 much of the acreage and many of the buildings were taken, through eminent domain, for a community college and a flood-control/recreational lake, reducing the farm from 1780 acres to less than 500 acres and with only 15 of the original 62 buildings left standing. 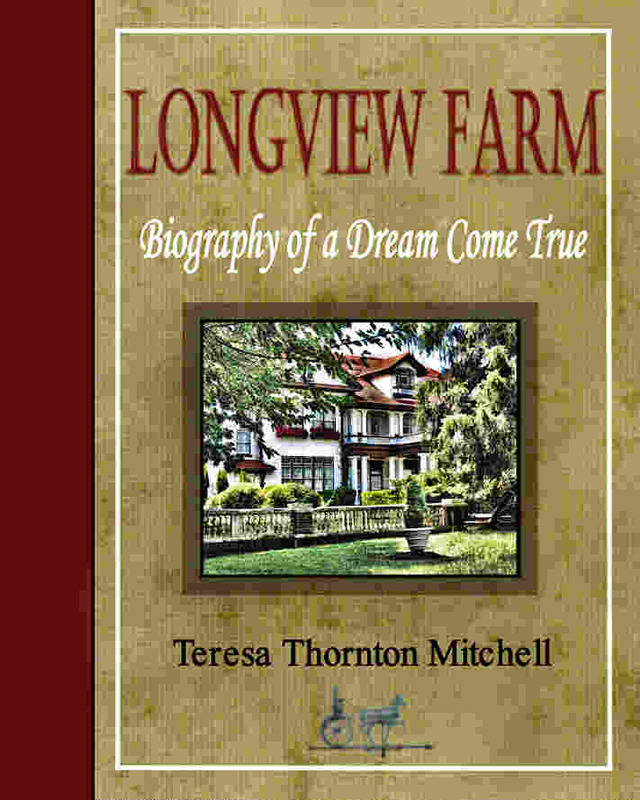 Longview Farm: Biography of a Dream Come True is the first comprehensive collection of photographs, construction, and operational information about each of the more than sixty buildings that once made up the farm. The farm is presented in nine complexes: 1) Farm Entrances, 2) Family Complex, 3) Farm Management, 4) Horse Complexes, 5) Dairy Complex, 6) Hog Complex, 7) Greenhouse Complex, 8) Residential Structures, 9) Support Buildings. -- More than 250 interior and exterior photographs of all 62 buildings. -- Descriptions and operational information about each of the buildings. -- Several rare photos of the farm while under construction. -- Aerial photos of the farm taken shortly after construction was completed. -- List of original property purchases. -- Drawings of elaborate proposed buildings that were never built.